Bloomingdale is one of the most famous department stores in New York City and in America. Here, you can find the latest fashion items for men, women, and children as well as some things for your home. It’s got 140 years’ worth of history in the fashion industry, contributing with its innovation, special events, and dynamic shopping environment as well as the very popular Little Brown Bag that we all know and love today. Taking up an entire block on the Upper East Side of Manhattan, the flagship store in New York City is hard to miss. There are two entrances: The main one is on 3rd Avenue (between 59th and 60th Streets) and the other one is on Lexington Avenue, which you can access from the subway. Bloomingdale’s is open every day between 10:00am and 8:30pm, closing at 7:00pm on Sundays. They extend their hours during the holidays. Probably one of the most popular department stores in New York City, Bloomingdale’s NYC store is where you can find all kinds of designer brands for clothes and accessories. The store occupies an entire block in a chic Manhattan district and has been hailed as a prime shopping destination in NYC. Bloomingdale’s can be fun to explore, but you’re not going to want to waste your hours getting lost in a jungle of people when it’s packed. Below is a brief guide on where to find what. 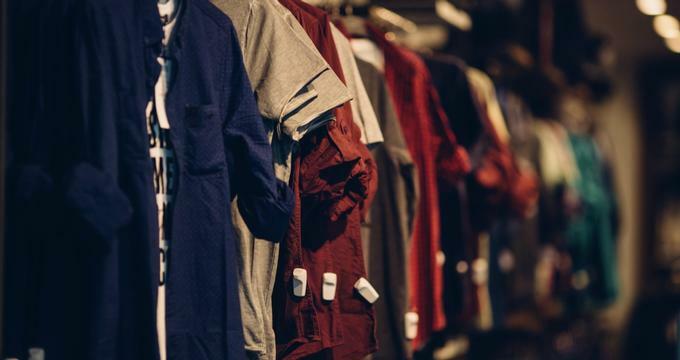 The Metro Level is where you’ll find most of the men’s apparel, such as denims, t-shirts, shoes (contemporary and classic), and accessories for him. There’s still some sportswear for men on the Lower Level, but this floor is mainly dedicated to basic clothing such as coats, contemporary apparel, and some suits, so guys who can’t find what they’re looking for in the Metro Level will want to come here. This is also where you’ll find some major brands like Polo, Ralph Lauren, Armani, Burberry, and more. More importantly, the Lower Level also has food, the personal shopping area (At His Service), and the jewelry and watch repair service. A couple more menswear items can be found on the First Floor. However, this is where you’ll see more jewelry as well as beauty products and accessories for both men and women. Handbags, wallets, perfumes, sunglasses, and other accessories will mostly be found here. The first floor also has the spa as well as the visitors center. Women’s shoes, tees, and denims can be found on the Second Floor. Dresses and more women’s apparel can be found on the Third Floor, sharing the space with Portfolio and Studio Services. This is also where the online pick-up desk can be found. Head on to the Fourth Floor for women’s designer shoes and other kinds of footwear. This is also your stop for lingerie, hosiery, as well as the personal service for women (At Her Service). The Fifth and Sixth Floors are mostly for home goods such as furniture, mattresses, rugs, and interior design. The sixth floor, however, is more dedicated to dining and kitchen items. Meanwhile, the Seventh Floor features bedroom and bathroom products. The infant section is found on the Eighth Floor along with items for toddlers and girls from age 4 to 16. Notable brands include Burberry and Ralph Lauren. Finally, the Ninth Floor is for boys from age 4 to 20. Shopping can build up an appetite. Luckily, Bloomingdale’s is home to a wide selection of good food. Those who come early can have brunch or lunch at David Burke on Bloomingdale’s first floor, while 40 Carrots is great for having lunch if you happen to be near the seventh floor. For something close to fast food, FLIP can be found on the lower level for a quick burger and kids’ menus. Those who want coffee and pastries can visit either Magnolia Bakery on the first floor or B Cafe on the sixth floor. Finally, those looking for French cuisine can go to Le Train Bleu on the sixth floor.